You liked them before, you will love them now! 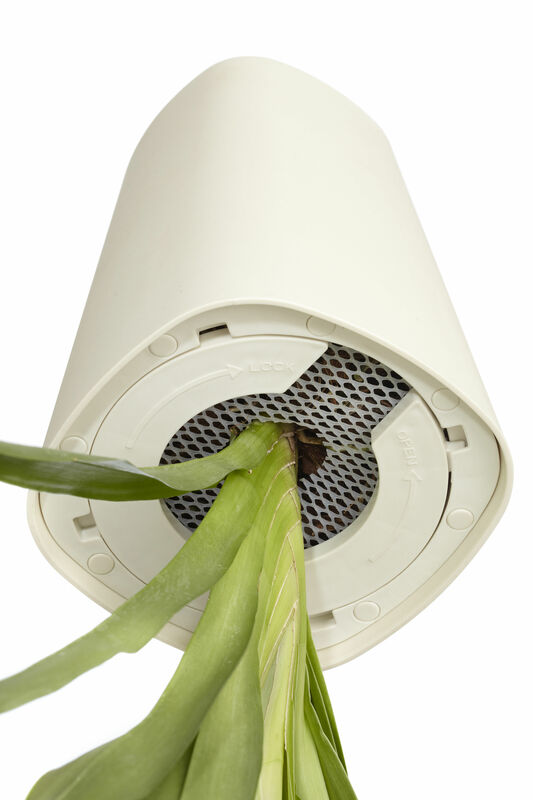 Sky upside down planters come back in a new recycled polypropylene version – eco-friendly and at good price! 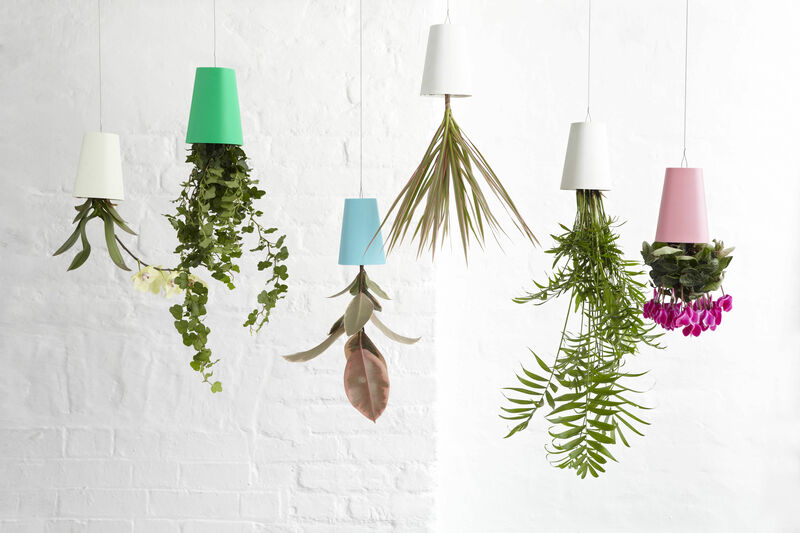 An outstanding spectacle... “Sky” is a new concept of hanging plants upside down. A spectacular and poetic scene of airy plants. 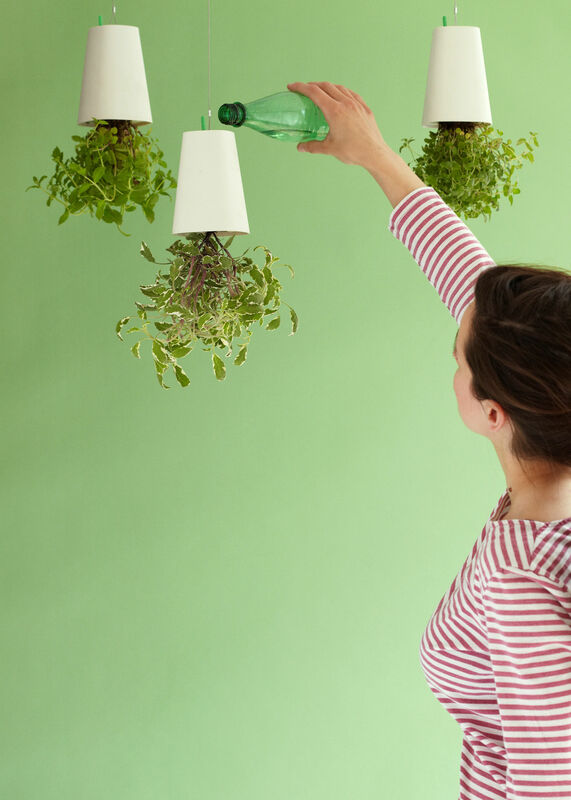 This planter, hanging from a ceiling or on a wall, is adapted to all types of plants: indoor plants in living rooms, culinary herbs in kitchens... A plastic net holds the soil and plant. Slo-Flo irrigation system keeps the soil wet during a couple of weeks. 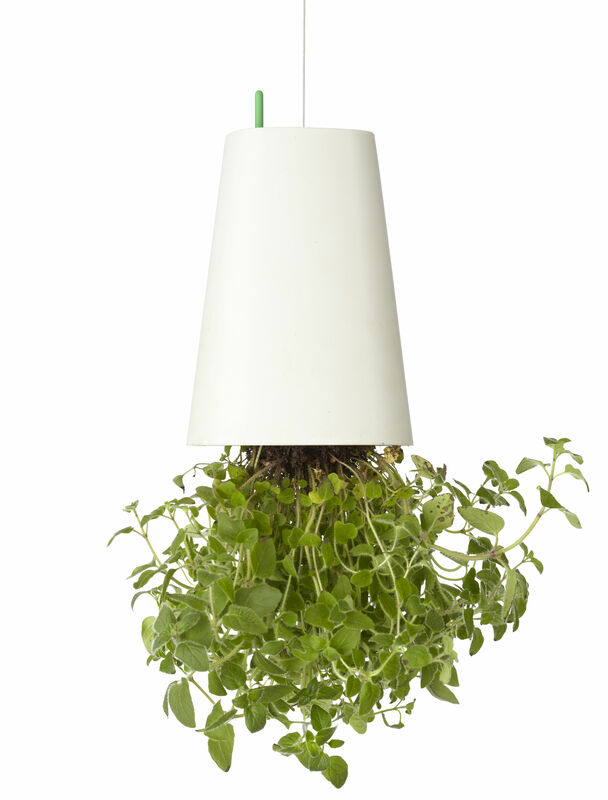 Solo or aligned in a composition, Sky upside down planter will be an eyecatcher in any room! 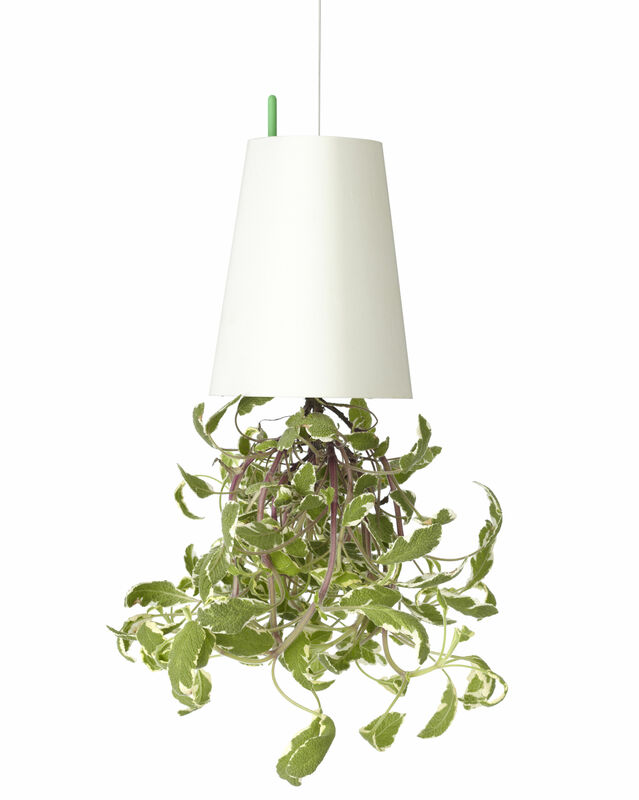 This planter is entirely made of polypropylene. 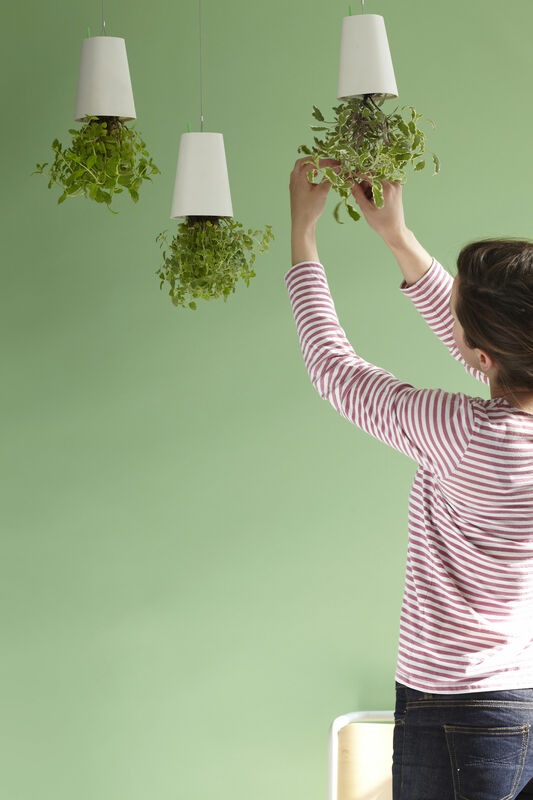 In order to hang up the planter on a ceiling, use the “S”-like hook (supplied). 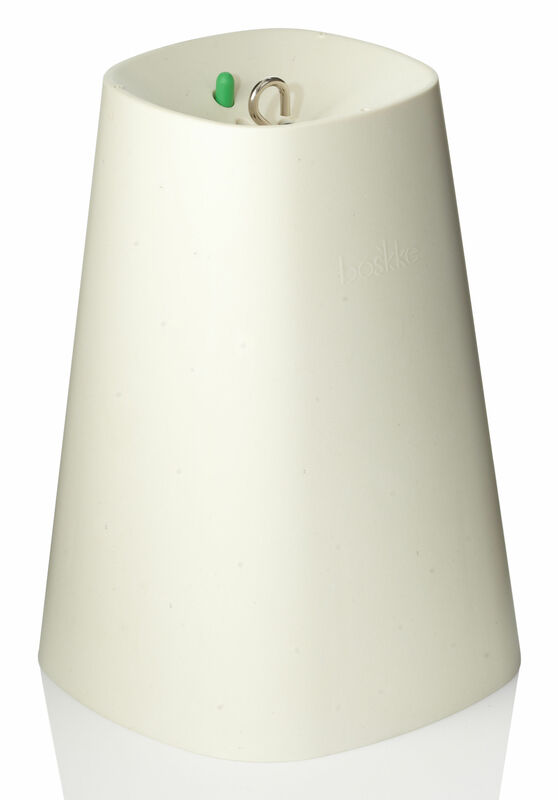 In order to hang it up on a wall, use a wall mount (sold separately). 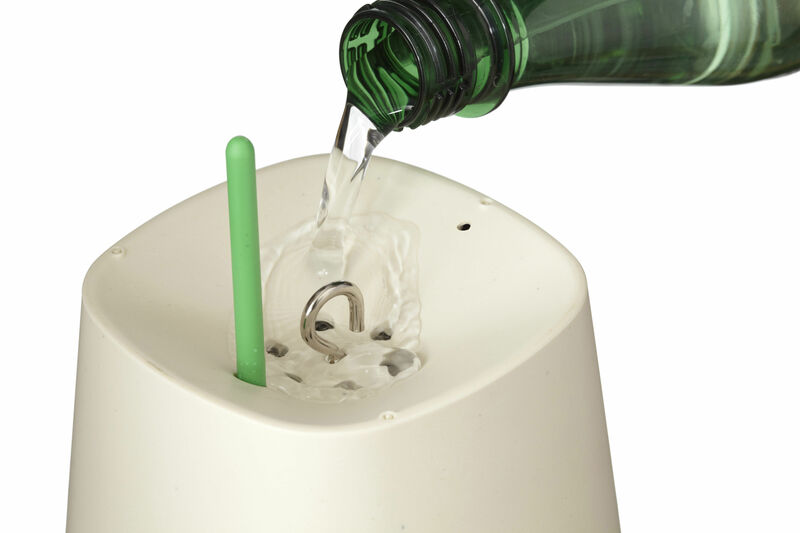 Supplied with a suspension cable of 30 cm length. 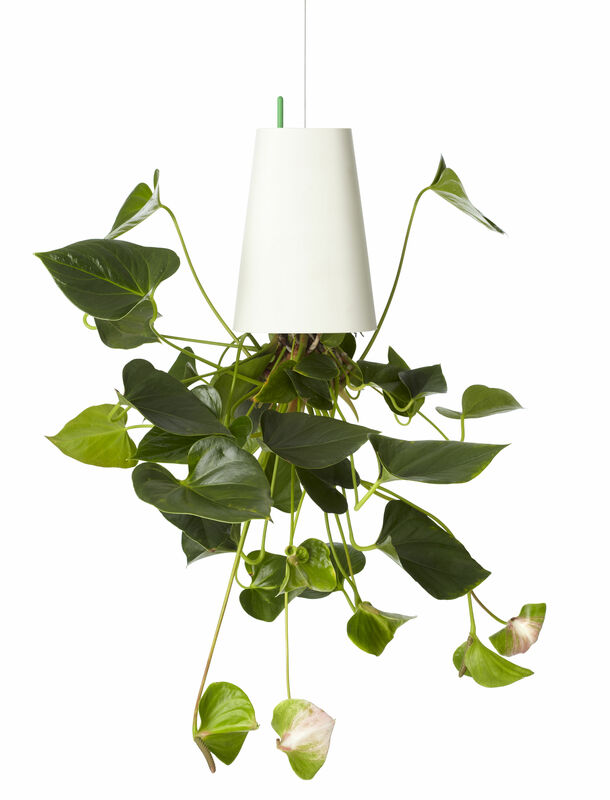 A longer steel cable (sold separately / L max 150 cm) will allow you to hang up plants in desired heights (which is very useful if you have high ceilings). 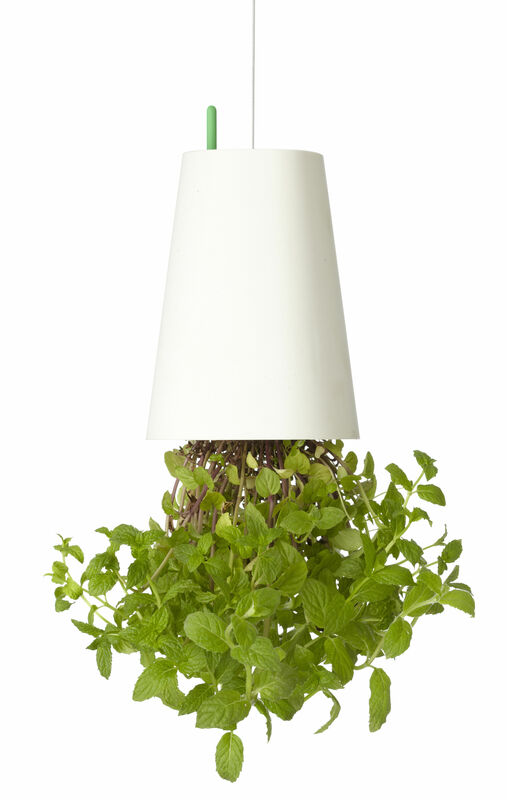 Sky planter is available in three different sizes: Small (H 13 x Ø 9.5 cm), Medium (H 19 x Ø 14 cm), Large (H 25 x Ø 18 cm) and in a variety of colours.